Robert G. McDowell has gained experience in many aspects of real estate, business law and litigation matters over his more than forty years in the legal field. Mr. McDowell currently focuses in part on administrative law matters involving various State of Tennessee government departments, commissions and regulatory boards. He has regularly represented clients before and works with the Office of the Governor, and the Departments of Economic & Community Development, Finance & Administration, Transportation, Commerce & Insurance, Department of Health, Department of Financial Institutions, Comptroller of the Treasury, and a number of others. Closely related to this is Mr. McDowell's regular work on condemnation matters at the federal, state and local levels. Mr. McDowell has extensive experience in the areas of finance and banking law and litigation; general business and commercial law; business dissolutions and acquisitions; business torts; construction law; UCC/sales secured transactions; real estate law and litigation; and administrative law including Tennessee regulatory matters. He also has experience in alternative dispute resolution and arbitration; antitrust and trade regulatory matters; intellectual property litigation; franchise disputes; professional liability matters; and environmental litigation (Superfund). Additionally, Mr. McDowell has represented gas pipeline companies in bond financings, real property, condemnations, civil litigation, easements and contracts. Mr. McDowell has served as Tennessee's Loss Prevention Coordinator on behalf of the Attorneys' Liability Assurance Society, Inc. (ALAS) since 1988. 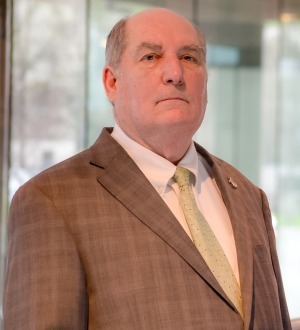 He is the past chair of the Fee Disputes Committee of the Nashville Bar Association and has served as a seminar speaker on professional responsibility on its behalf. From 1968 until 1974, he served as a member of the J.A.G.C. of the U.S. Army Reserve.